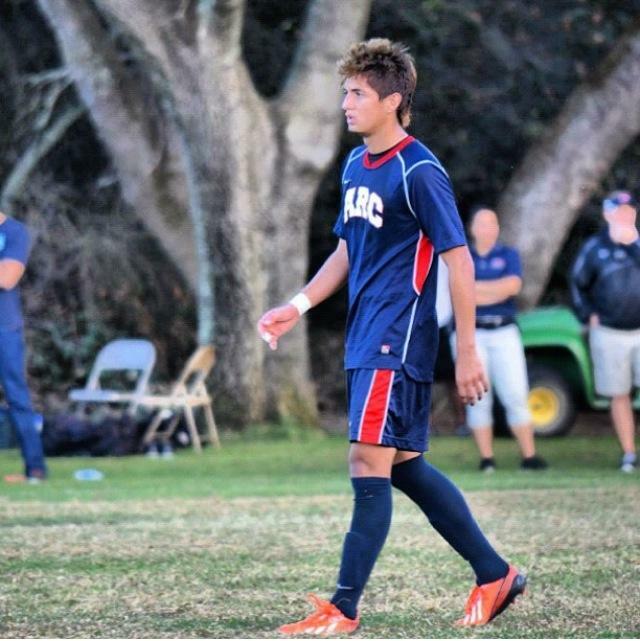 Player Jordan Moreno comes to the American River College men’s soccer team with a superb athletic background. Both of his parents were great athletes in high school and at San Jose State University. His father, Jorge Moreno, was all-Bay Area selection at Liberty High School in Brentwood, Calif. and his mother, Monin Mendoza, earned an athletic volleyball scholarship at SJSU. Jordan Moreno’s younger brother has a bright future in soccer, as well, and was recruited as a freshman in high school. Jordan Moreno is part of a special athletic family. Jordan Moreno was a highly recruited athlete in high school, getting offers from Notre Dame de Namur University; University of California, Santa Cruz; San Francisco State; Sacramento State; Finlandia University in Mich., St. Andrews in Fla. and The Academy of Art University of San Francisco. Jordan Moreno eventually committed to Notre Dame De Namur University in his senior year. “I just felt like it was a great fit for me, especially with going on the official visit and the coach always keeping in touch every week,” he said. But around April 2012, he changed his mind. Jordan Moreno soon had to decommit and take his talents to ARC for a fresh start. Jordan Moreno has racked up queries from some impressive universities. East Bay University and Sacramento State are still on his radar, as well as his parents’ alma mater. But the school that draws his interest most is Chaminade University of Honolulu. “With the former ARC players Trevor Freeman and Mitchell Fasolo attending there, they are really a big help with me, giving info on the team and other things about the school,” he said. Finlandia University plays in the same conference as Chaminade; the match up would make for a really good reunion with Moreno’s former committed school. “I’m really proud of my son’s hard work ethic and his will to make it in this world, and with the ride he’s been through, it’s just makes him more hungry to go get it,” said Jorge Moreno. Be the first to comment on "ARC soccer player kicks it family style"